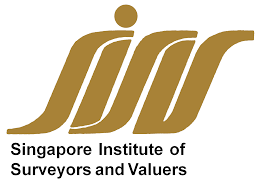 Chambers International, established in 1979, is a group of highly reputable companies providing comprehensive property and facilities management, valuation and real estate marketing in Singapore and the region. We have more than 200 professional and technical staff dedicated to the highest level of management and real estate consultancy for both the public and private sector. To date, we are managing more than 180 projects including condominiums, shopping centres, industrial buildings and facilities belonging to authorities. Chambers provides the best management, valuation and marketing services. Chambers boasts over a hundred successful projects, and has a long list of extremely satisfied clients. Chambers possesses a team of highly experienced and more than qualified individuals. Interested in joining the team here at Chambers? We are on the lookout for highly motivated individuals. Providing you with all the essential services. We have all the services necessary for property management in one place. Chambers is a fully Singaporean Company, and proudly so; where the senior management staff are also the shareholders and members on the board of directors. We exercise great care in managing operational costs, and this translates into cost effective services for the benefit of our clients. We have a vast amount of projects which allow economies of scale to benefit our operations and our clients.